The mountainous situation of the center of the highland with high rainfalls makes very panoramic views of waterfall. The highest among them is Bambarakanda (241 M) Waterfall at Haldummulla. It is in lower horton plains. 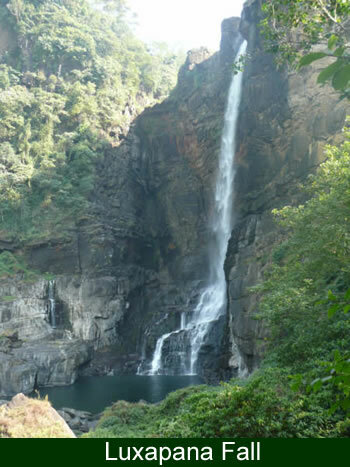 The widest waterfall is in Kandy district at Hasalaka W- (100 M) - (100 M). The highly located waterfall is in the horton plain, that Baker's fall. Many people say Baker's fall is the most lovely waterfall in Sri Lanka. 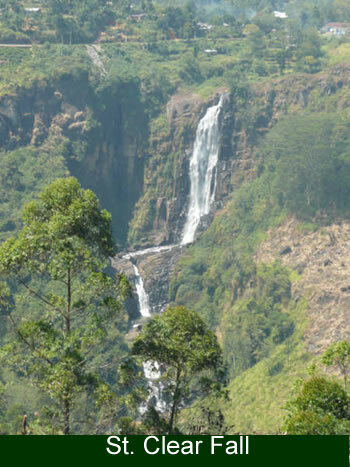 The other famous falls are Diyaluma (170 M) Devon (86 M) St. Clair (83 M) Aberdeen (90 M) Dunhinda (58 M) Ramboda (100 M) and Luxapana. 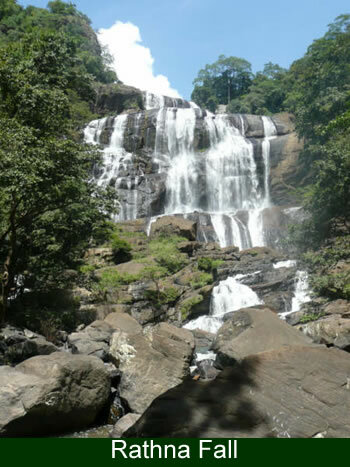 Ramboda is the world sixth highest perennial waterfall and highest perennial in Sri Lanka. The waterfall at the Gurulupota named Sitakotuwa in Hasalaka is very different because it has still creating limestone formations. One of the waterfall is in the Wavulpane limestone cave in Rathnapura and good place to visit. Laxapana waterfall is also with some limestone creations closer. 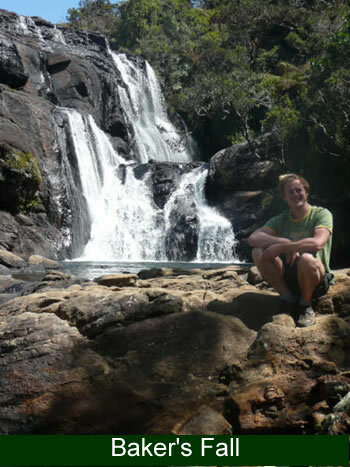 Usually foot paths leads to waterfalls, so very good trekking possibilities up to waterfalls. The explorations to starting springs of waterfalls is exciting activity. Along with waterfalls some of the special fauna found for example rare species of dragonflies, damselflies and fresh water fishes.